This week’s episode features WestSide High School’s leadership program and a fundraiser that will be held March 15 from 6 to 8 p.m. at the school to benefit a four-year-old Wenatchee youngster who is battling cancer at Seattle Children’s Hospital. Jocelyn Aguilar, her mom and brother are staying at Ronald McDonald House in Seattle while she’s receiving treatment. I spoke with leadership club advisor Sheena Zacherle and students Justyena Wilson and Rebecca Figueroa. 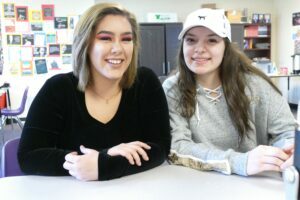 Wilson and Figueroa are students at Wenatchee Valley Technical Skills Center and participate in the leadership club at Westside. Students in the culinary skills program at the tech center run will prepare the food for the spaghetti feed. In successful communities, people look out for those who are suffering. 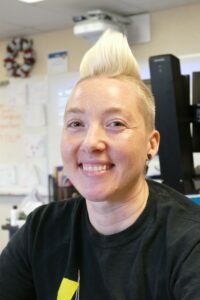 The leadership club at WestSide is a good example of creating experiences that will leave a lasting positive impact on students and help them connect more deeply to the valley. We can support their efforts by donating items and attending the event. Previous story YMCA elevates its programs to enhance local youth programs.